Founded in 1977 by Harold Simard and Yvan Laporte, our company has become the go-to professionals on the Montreal South Shore within the security industry. We carry a wide range of quality products; alarm systems, surveillance cameras, fire and temperature control alarms. We also provide excellent customer care. Their business grew as they secured interesting residential, commercial and institutional contracts as word-of-mouth eventually made its’ way among potential clients. 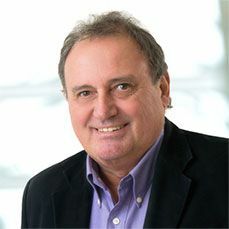 Harold Simard wanted to transfer the business to his children; with this in mind he became the sole shareholder of the company in 2007. Then in 2011, a new generation joined the team. Mr. Simard loves people and they love him back. His employees and his clients trust him as well as the people he associates with in the various business associations he belongs to. No wonder he left his job as an automatic pilot technician for the Montreal Metro to create Alarme SL. The business was built from the ground up. But Mr. Simard knew that managing the company meant he should trust his employees and give them responsibilities. 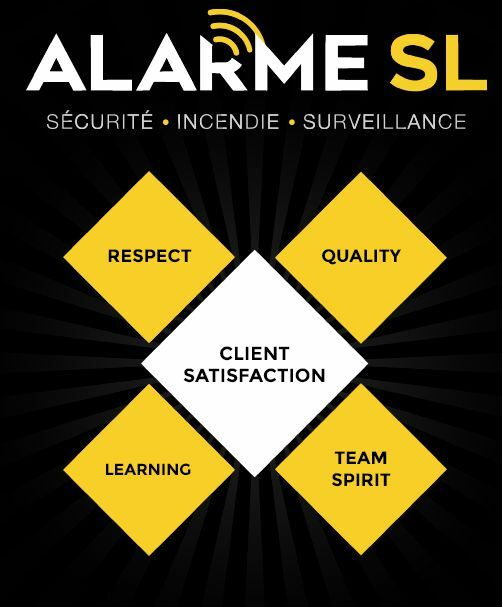 Employees feel they play an important role within a team of people dedicated to providing Alarme SL customers with the best security services. This is why Alarme SL has become a leader in the field of the security industry. 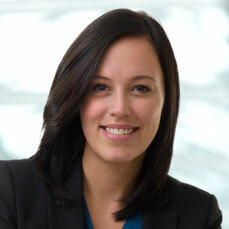 Before she took her position at Alarme SL, Aurélie Simard studied at the HEC and became a chartered professional accountant (CPA). She then worked as an external auditor for the accounting firm KPMG; there she realized she could no longer fight her need to become an entrepreneur! The family business provided her with the opportunity of a rewarding career. She now oversees general management and business development and has been doing so since 2011. Every single day brings a new challenge, and Aurélie makes sure all customers are truly satisfied. She also makes a point of keeping the company on top. What’s our secret? We only work with the best of the best! We take pride in establishing solid business relationships; this is why our customers have been connected to the very same surveillance central station for more than 40 years. Our family members are dedicated, our team of experts combine skills and knowledge and our reliable partners across Canada enable us to deliver prompt and professional service. Our mission is to provide security and peace of mind to our residential, commercial, industrial and commercial customers across Canada. We protect buildings and their occupants against the hazards associated to intrusion, theft, gas leaks and water damages. We take your needs into consideration, it’s important that we listen to your preoccupations and that we answer any questions you may have. We achieve this by sharing our expertise and ensuring a quick and prompt response in case of an emergency. We are committed to provide our customers with systems of high quality performance, and are determined to protect them at all times. We will establish an honest and accurate diagnosis of your needs according to situation analysis, context and equipment. We supply high quality products as well as an excellent customer service. We offer warranties for parts and labour on our installations, we also possess liability insurance coverage against failure of performance of $5M. Alarme SL is a member in good standing of all of the Regulations and Professional Organizations in the field of Ssecurity; our central station is a certified member of the UNDERWRITERS LABORATORIES OF CANADA (ULC).. The advantages of choosing us!